Verizon provides online streaming services and Verizon Go90 is the Verizon’s mobile streaming service. The postpaid Verizon customers can now view the Verizon go90 app on both iOS and Android mobiles. At first, Verizon provides free services to Verizon and non-Verizon customers. Facts about Verizon Go90 Video Streaming is explained here. Verizon’s 90 is one of the mobile video streaming services that is available for both Android and iOS platforms. Verizon had promoted its app with promotional offers like ‘more everything plan’ and ‘The Verizon plan’. The users on Verizon can form crews with other users having common interests. Nowadays everybody moving to streaming media services instead of traditional cable TV televisions. There are some streaming media services available in the market. Verizon go90 is one of American streaming service launched in 2015. Go90 is a mobile streaming app which plays Movies, Music, TV shows and so on. In-app store it was ranked as 80. Verizon go90 has some of the digital services and streaming media services. Verizon is a free mobile video streaming service which was updated with the branded content. Its services were targeted the teenage users as principal. To use the services, the users must download the go90 app and must create an account. The service is open to everyone that means even for the non-subscribers. The official release of services was expected to be in October 2015. The service was offering the additional content from the various studios like Dance on. It is also going to provide the short video content for its users. Verizon was partnered with the home entertainment companies to provide the best video content to its users. It is also providing the sports-related content to the audience. It is not yet declared that the providing of the sports content with premium or not. Go90 app is compatible with both the iOS and as well as the Android systems. The website is also stated that it was going to deliver the live music events along with the primetime content. Users can view the full-length shots along with the short highlights on Go90. The features are immersive with the on-demand and the live content. Verizon is also planned 200 hours content from the YouTube. The service will also contains the Fox and AMC content. The company has registered with the trademarks and rights for the video content provide services. It is also planning the content in different categories along with the content related to the scientific horror. It is also in planning of the live programming mix with the original content for audience. It has already announced the five different series, and the sixth round is yet to announce. The Verizon company heads are dealing with Verizon go90 app by adding continuous changes and more user-friendly. 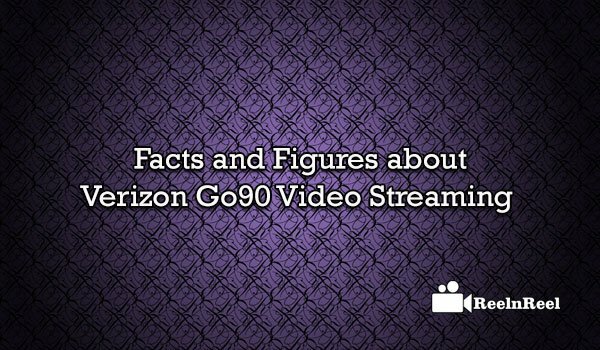 Here we have listed the top 20 Facts and Figures about Verizon Go90 Video Streaming. Go 90 is a mobile streaming app from Verizon streaming services.The above article guide you 20 unknown Features about the Verizon Go90 mobile app.